Yup. Not a fan of cabbage. 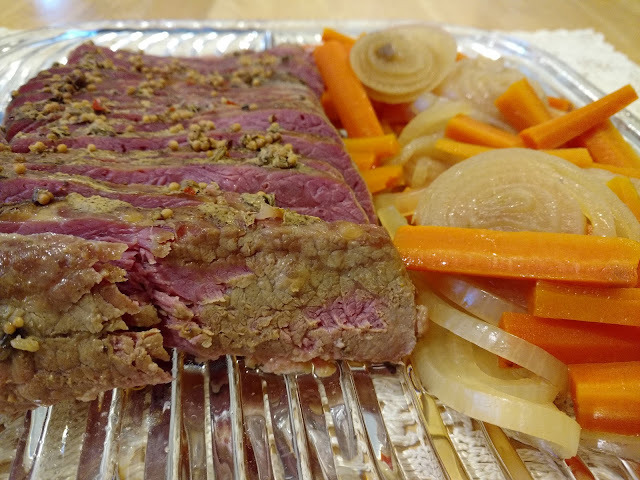 I found this recipe for the slow cooker and the results were not bad. Still, I personally am not crazy about corned beef. Seriously Osso Bucco up against Corned Beef and the winner is... 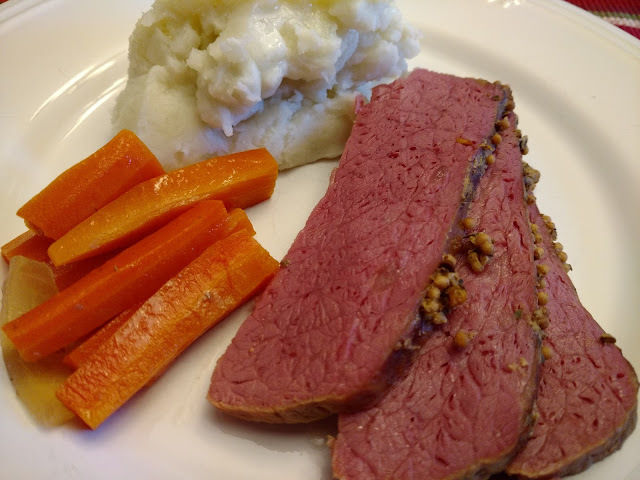 Anyway, this was an easy meal, if you like Corned Beef. Place corned beef on top (fatty side down). Spread beef with mustard and sprinkle on the contents of the spice packet. Pour the broth + water carefully around the beef (so as not to wash off the spices). Cook on high for 7 hours, slice (discarding fatty layer).